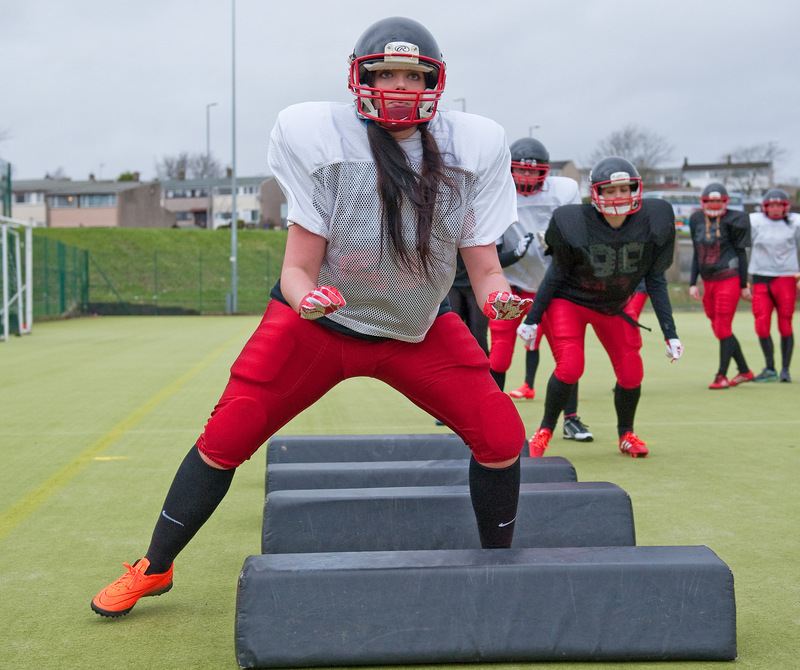 Thinking about joining the Pirates women’s team but not sure what to expect? We asked some of our current players to share their thoughts and experiences to help you make your mind up. 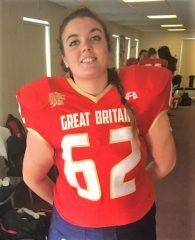 First up, Aimee Wilson – who went from never having played contact American Football before to representing Great Britain against Spain in an international friendly just nine months later! Occupation: Service Delivery Coordinator at Virgin Media Business. Why did you start playing American Football? My uncle has been playing with the Pirates for years and as soon as he heard that a women’s team was being set up he asked me if I wanted to try it out! What’s your proudest American Football moment so far? Getting my first cap for the GB Lions women’s team at Six Ways stadium against team Spain. After only nine months of playing contact football! Why should people give it a go? To try out something new – American Football is an amazing sport, it’s so much fun and it’s a great way to meet new people! What was most challenging at first? I had absolutely no knowledge of the game at all when I first tried it out, so it took me a while to get my head around the overload of information, but teammates and coaches helped me through everything! There was no such thing as a stupid question! What advice would you offer new players? The main thing is to enjoy yourself! Football is tough and it’s emotional, but that brings out qualities in you that maybe you didn’t think you had. It brings out the best in people, and there are so many opportunities in the football community to show case what you’re made of! What’s the best thing about being part of the Pirates? We’re a family! We train together, we play together, we have fun together and that’s what it’s all about. 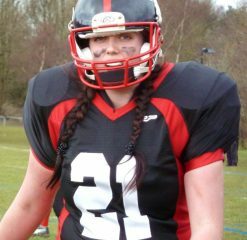 We’re looking to grow our team ahead of the new contact American Football season starting in February. New players should be aged 17+ All shapes and sizes welcome, and no experience is needed. If you have fun and decide to join us, we’ll provide all equipment on loan once you learn the basics. Come along and try at our taster session on Wednesday 7 December at Glasgow Club Crownpoint Sports Complex. If you can’t make our taster session, new players are always welcome to head along to practice on Wednesday evenings from 7-9pm at Crownpoint. Email info@piratesfootball.co.uk to find out more.